Larry realized that his camp was a bit far from the nearest river. What was he going to do for water? He could do without bathing for a few days (making a mental note to himself not to stand too close to others on the return bus home), but he still needed to drink? Looking around him at the lush plants, he remembered reading somewhere about digging for groundwater. But where would he start? How would he find the best spot in the ground that had the highest level of water? 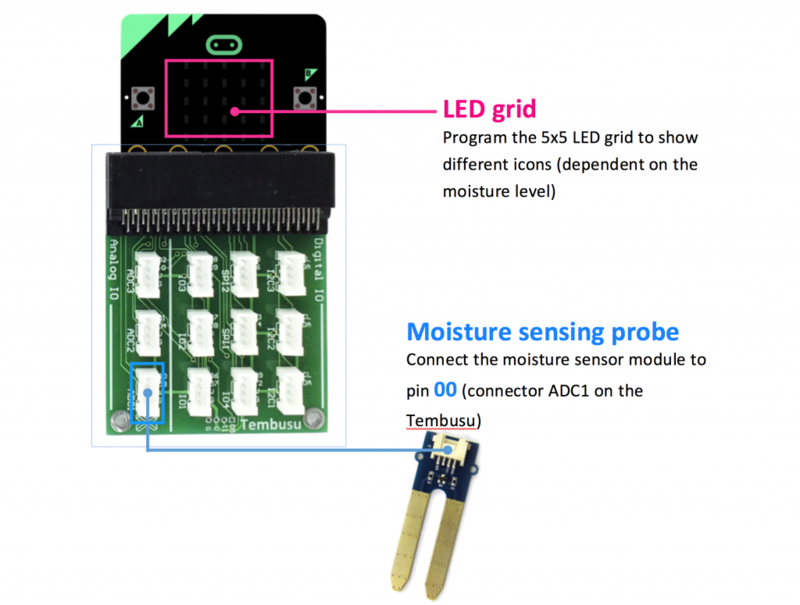 The moisture (or water content) levels is taken from analog input pin 00 (connector ADC1 on the Tembusu board) and the value displayed on the micro:bit’s LED grid. The threshold level is set at 50. If the value is below the threshold level, the micro:bit will display a sad face, prompting the user to water the plant. 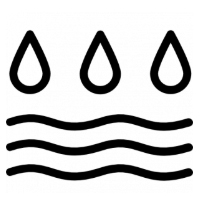 Otherwise, it will display a happy face and say the plant is well hydrated. Include a buzzer to sound off when the moisture level is low without the user pressing the button.